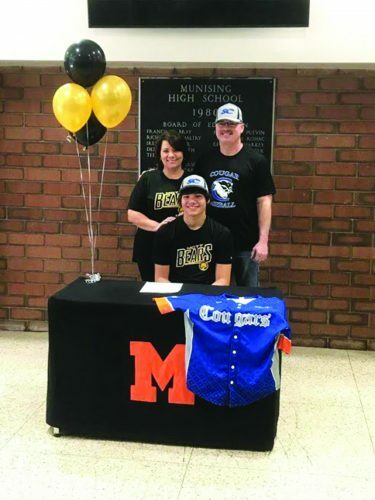 Courtesy photo Mid Peninsula’s Terry Brower signed a national letter of intent Monday to attend Grand Valley State University and compete for the men’s track and field team in high jump. Seated with Brower are his mom Karin and dad Todd. 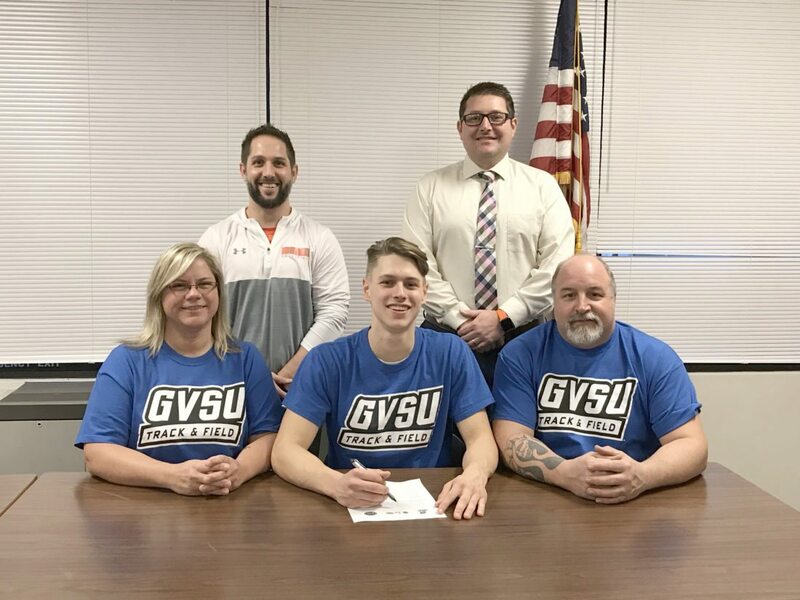 Also pictured are Principal/Athletic Director and Coach Bobby Reichel (back left), and Superintendent Eric VanDamme (back right).